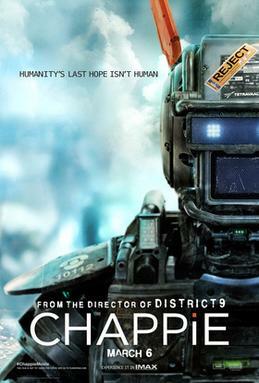 Some time this year we'll have big blockbusters with villainous artificial intelligence like Avengers: Age of Ultron and Terminator: Genisys, meanwhile this film does the reverse with a conscious robot fighting for the good cause. Yet somehow the premise still feels familiar...to be rooting for something non-human, supported by a band of humans, all the while being hunted by other humans...truly it doesn't feel all that fresh. But with some amazing cast in Hugh Jackman and Sigourney Weaver, as well as a great director in Neill Blomkamp, this certainly looks to be quite the spring blockbuster to look forward to. 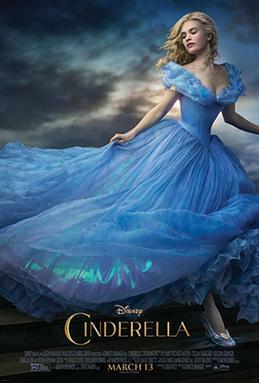 A romantic fantasy film that never looked like my kind of film. But the most recent trailer hooked me in, and now I'm intrigued & curious about this live-action take on this famous Disney titular character. The cast looks amazing, while I've always enjoyed director Kenneth Branagh's films...and the visual effects looks awesome, indeed - which brings in a level of confidence with the quality of this film. Hoping it'll be as good as Maleficent may be asking too much, but all the signs (and trailers) show that it may yet be a surprisingly entertaining movie. And there's some excellent song/music in the trailers, too. 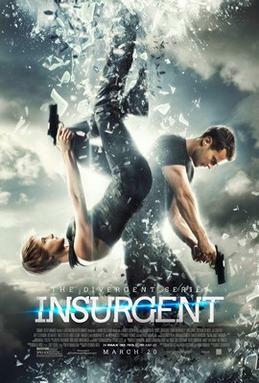 Divergent was a surprisingly entertaining & strong first entry to the series. Though the general theme never felt too distinctive to other YA novel adaptations, Divergent prove to be one of the better ones. With that, there is no reason to miss out on its first sequel, Insurgent. However, I have to admit, recent trailers have been rather underwhelming and vague. For me, personally, the trailers seem to be more confusing than exciting. One other thing that unsettles me is that the villain doesn't seem to be all too threatening, or doesn't even seem to have a clear motive. It feels a bit unclear as to where the story is headed, but I'm crossing my fingers that I will feel satisfied the moment I leave the theaters after this intriguing second entry of the franchise. -Yet another action flick starring Liam Neeson...why not?